Ecological naiveté or the failure to recognize a novel enemy is often put forward as a cause of extirpation of biodiversity in newly invaded systems. 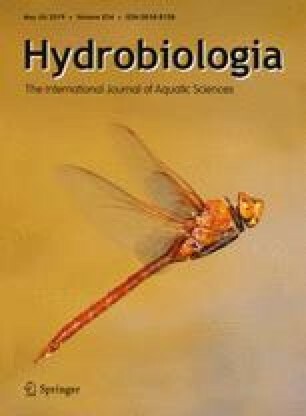 We tested the efficacy of a generalized antipredator defense, namely reduced activity level, in the tadpoles of Rhacophorus arboreus to the threat of the invasive predator red swamp crayfish Procambarus clarkii in simplified laboratory environments. We first investigated the behavioral responses of the tadpoles in the presence of caged fed predators (native: dragonfly larvae and newts, and novel P. clarkii), and subsequently tested the vulnerability of predator-induced tadpoles to free-ranging predators. The tadpoles reduced activity level in the presence of the native predators but did not recognize the crayfish. Reducing activity level increased survival in the presence of native predators. This behavior was still effective in the presence of crayfish, but survivorship varied with the identity of the native predator from which the tadpoles received induction cues: tadpoles that were previously exposed to dragonfly larvae noticeably survived better than those previously induced by newts. Our findings suggest that naive prey may exploit information from native predators to better resist the threat of novel predators, but not all sources of induction confer the same benefit. The online version of this article ( https://doi.org/10.1007/s10750-019-3951-6) contains supplementary material, which is available to authorized users. We thank MEXT Japan and the Ecological Society of Japan Chubu division for supporting the study. We are grateful to two anonymous reviewers and Lee Kats for the constructive comments. We thank Daisuke Murakami, Harisoa Rakotonoely, Claire Oiire, Xioajun Zheung, and Saki Kimura for assistance. We thank the School of Information Science of Nagoya University for providing rooms to conduct the experiment. The present experiment complies with the current laws of Japan in the collection and the use of animals in research.